I’m in Athens, Ohio, working on a couple of projects with Curator Jessica and getting ready to head up to Columbus Sunday to pick up Friend Anne, so the two of them can Road Warriorette back to Florida with me. I hit town and promptly came down with a killer sore throat. I managed to make it through a 2-hour video interview, but by the next day my voice was reduced to a croak and my head felt like there was a basketball inside trying to get outside. I alternated between being completely stopped up and having to carry a bucket to capture the drips. Saturday afternoon was spent wandering around a huge rural cemetery looking for a grave that would “tell the rest of the story” of one I did in 1970. The man and his wife weren’t were they were supposed to be, so I guess I’ll have to try again later. I took a two-hour nap and woke up feeling both better and ravenous. Somewhere in Athens, Ohio, I knew there was a greasy hamburger calling my name. 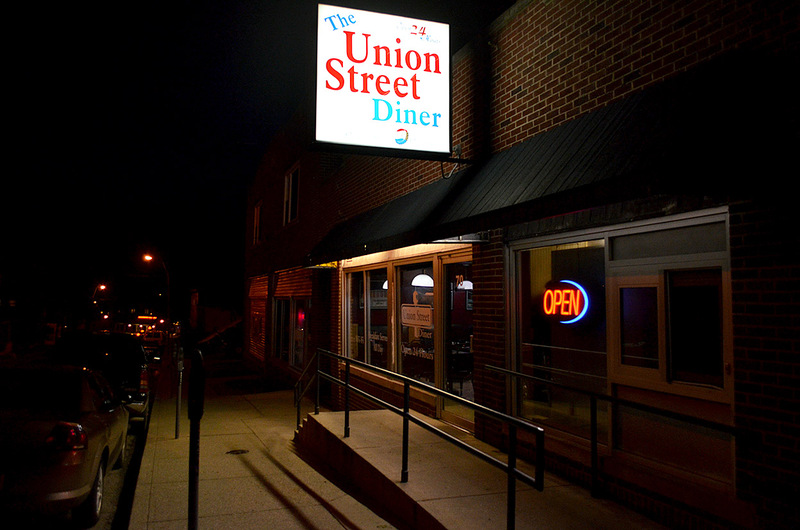 There was: I ended up at the Union Street Diner, and it was all I had hoped for. 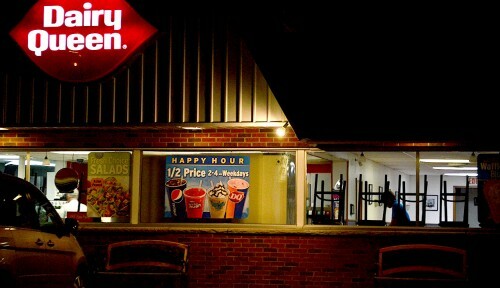 On the way back to the motel, I stopped to shoot night photos of a number of small businesses, some of which had been in business when I worked here. 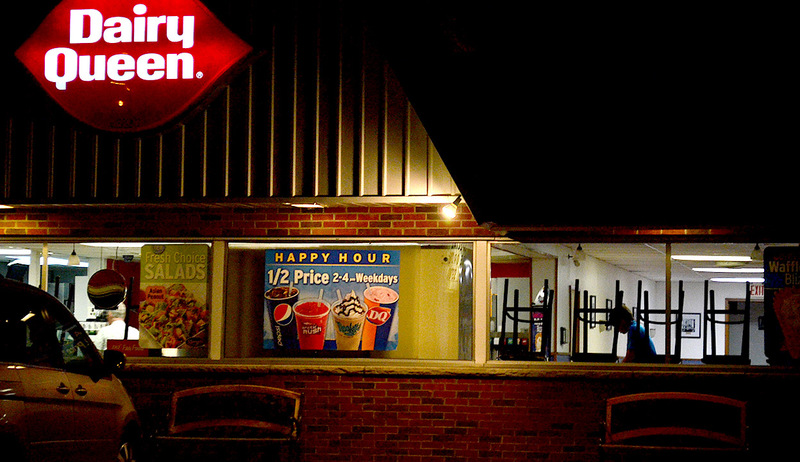 Only a few cars were left in the Dairy Queen parking lot, and the waitress was stacking chairs getting ready to clean up the day’s messes. I decided it was worth a U-turn. While shooting this, John Prine’s song, Far From Me started playing in my head. Y0u can read all the lyrics here, or listen to John sing it here. You can click on the images to make them larger.